Trees come in two major varieties. There are deciduous trees and then there are the trees of the evergreen variety. Deciduous trees are trees that change with the seasons, which can certainly offer plenty to enjoy throughout the year. 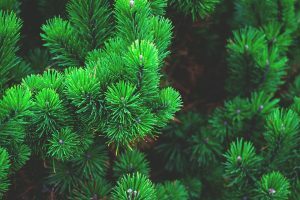 Evergreen trees, also known as coniferous trees, though they don’t change with the seasons, still need a little bit of TLC to keep them looking and feeling their best. Let’s take a look at how you can care for evergreen trees for the winter. Coniferous trees have needles unlike deciduous trees that have leaves. To help the trees survive through the winter, these needles usually have a waxy coating that helps them to retain and conserve water. For best results, make sure the evergreens have plenty of sun in the fall and then plenty of shade in the winter. This can be accomplished by planting them on the North side of your property. Thankfully, Maryland usually gets plenty of precipitation throughout the year, winter included. Snow melt is a great way to keep trees well-watered and it won’t require you to do anything but enjoy the winter weather. For the most part, evergreen trees don’t need a lot of maintenance to maintain their health. If your pine trees are looking a little tired, then a little fertilizer may be in order, but they don’t need the same kind of attention that deciduous trees do. In terms of pruning, coniferous trees only need corrective pruning for the most part. That means that they’ll need pruning when limbs die, but this shouldn’t be done in later summer or fall in case the pruning stimulates new growth. Need Help With Your Evergreens? If your coniferous trees need some TLC, then call on the experts at Nelson Tree. We can handle all aspects of your tree care whether they’re coniferous or deciduous. Contact us today for more information or to schedule our services. We look forward to serving you. This entry was posted on Monday, November 26th, 2018 at 1:23 am. Both comments and pings are currently closed.